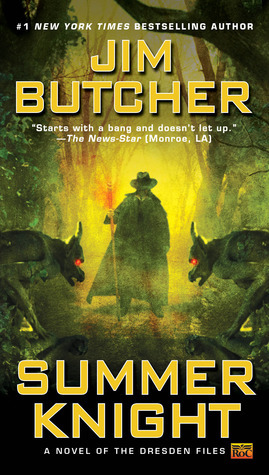 Someone has killed the Summer Knight and it is up to Dresden to find the culprit. Dresden didn't want to get involved. Regrettably, he has no other choice in the matter. The Winter Queen has forced his hand and if he doesn't want the Council to serve him on a platter to the Red Court vampires he must do as asked. Dealing with the Fae and their power was not his priority. Dresden has been feeling guilty and responsible for Susan's change in life. He has let himself go and has spent countless hours trying to find a cure. His house is a mess, he's broke and he has not shaved or cut his hair in a while. Nothing matters to him until Queen Mab and someone from his past visits him. These books are so good! I love Dresden and his funny side. I like that we get to see characters from the past. Billy and the other wolves were great. Color me surprised but I like Murphy in this one. Don't know for how long though. She was nice to Harry and she was helpful. Nice change!